Spring Food Truck Rally 2014, full of New! 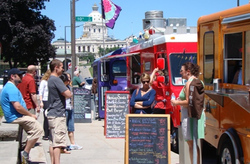 1st Annual Great MN Food Truck Rally! Look, Fudge on a Stick!